After a wet and cold summer we are making up for it with some great hiking weather. We have some great ideas for hikes to enjoy the fall colours. Join us! Upcoming activities - sign up online! We will visit a fascinating gorge with walkways and bridges, extending to a local hike for some more exercise, and stop at a lakeside cafe near Annecy. A lovely new 2.5 hour loop hike (500m elevation gain) with views of the Mont Blanc and the Mer de Glace near Argentiere in the Chamonix Valley. A nice long walk (with only a little elevation gain) to enjoy the autumn leaves along the pretty trail beside Lac de Joux, and train back to the cars. A new study has been published that hiking makes you happier. The research shows outdoor walks improve mental health. Three times a week is the recommended dosage! 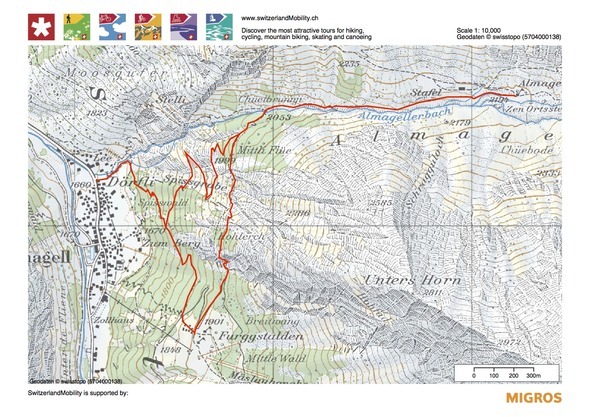 We've added 3 new trail tips to our collection - enjoy! Gift voucher idea! Give a one-year membership or trail tips for hikes near and far! Contact us to talk about your ideas! Hover over the 'like' button on www.facebook.com/fraicheair and click 'get notifications' to add our updates to your FB feed. Get on our newsletter mailing list by clicking the NEW 'email signup' button on our FB page, or email us info@fraicheair.ch. Add info@fraicheair.ch and info@fraicheair.com to your email address book so the newsletter gets safely to your inbox. Looking forward to getting some fraiche air with you!